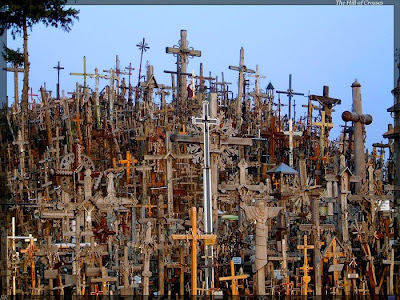 Attached is a very cool photo (one of many I found) of The Hill of Crosses in Lithuania (unknown photographer). According to one web site, the hill has more than 50,000 crosses on it (and is not a cemetery). It’s been said that this tradition appeared before the Christianity came to Lithuania and Russia and is of pagan origin. In a certain village in Umbria (Italy), there lived a man who was always bewailing his lot. He was a Christian, and found the weight of his cross too heavy to bear. That night he had a dream; the Lord led him to a warehouse. 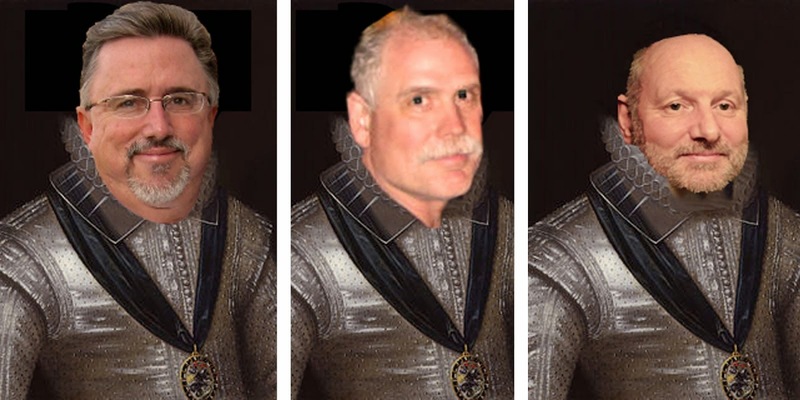 "Go ahead and change it," he said. The man saw crosses of all sizes and shapes, with the names of their owners. He picked an average size cross – but when he saw the name of an old friend written on it, he left it aside. Finally, as God had permitted, he chose the smallest cross he could find. 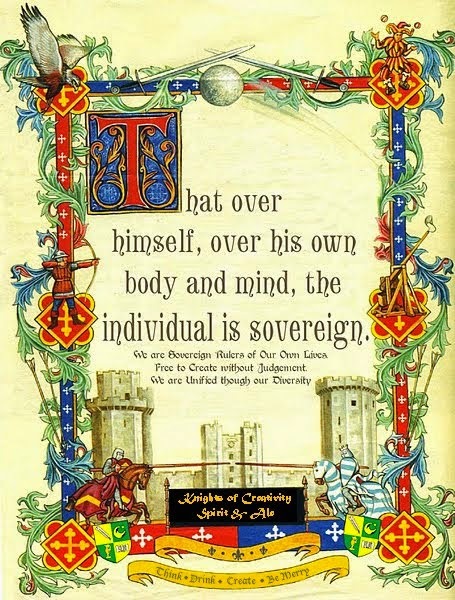 Something for Knights to Think about. Oh yeah, the cross that we must bare. What a bear that is sometimes! I often find that after a good nailing to the cross that a refined clarity and purpose comes pouring back into my life. Life after death after life after death, and the cycle continues.